Legendary ethnomusicologist and field-recording pioneer, Hugh Tracey founded the International Library of African Music (ILAM) in 1954. Today, ILAM preserves thousands of historical recordings and has become the greatest repository of African music in the world. Dust-to-Digital partner with ILAM to present Listen All Around: The Golden Age of Central and East African Music -- a compilation of newly-transferred and remastered recordings that Hugh Tracey made between 1950-1958. The recordings presented here were made in central and eastern Africa -- specifically, the Belgian Congo (now the Democratic Republic of the Congo), Kenya, Tanganyika, and Zanzibar (now Tanzania). The genre of music Tracey documented, and the focus of this double-CD and book is rumba and its variations -- Congolese rumba, dansi, and benga. The recordings, photographs and detailed liner notes included in this set provide a rich point of immersion into the mid-20th-century music of eastern and central Africa. Including 47 newly-transferred and remastered recordings that Hugh Tracey made in central and eastern Africa between 1950-1958, Listen All Around includes 84-page hardcover book and two CDs. Listen All Around features Kalenga Antonance, Ilunga Patrice, Misomba Victor and Friends, Vijana wa Mbeya with Jim D. Gondwe, Henri Bembele and Orchestra Tinapa, Dar es Salaam Jazz Band, Lang Obiero, Joseph Eluka and Soldiers, Yemba Jean Batiste and Soldiers, Société Edemi de Stanleyville, Bakia Pierre, Morris Kalala, Tauni Mwenasasu and Friend, Coast Social Orchestra, Chemutoi Ketienya and Kipsigis Girls, Sunderland String Band, Lang Obiero, ORCLOS, Kimambo Brothers, ECO African Band, Norbert de Magaro, Ezekiel Kamenga and Luba Men, Mwenda Jean Bosco and Singers, Samuel Colon and Baninga Baye, Chipukizi Rumba, Vijana wa Mbeya, Merry Black Birds, Katanga Dance Orchestra, Salum's Brass Band with Salum Seliman, Chibanda Baudouin, Lake Victoria Band, and Kamwema Jean and His Friends. 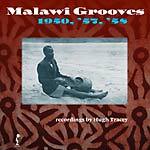 Malawi Grooves 1950, '57, '58 compiled by Hugh Tracey shows Malawi's rich groove culture. Despite Madonna's adoptive meanderings, Malawi is still not fashionable. These crystal-clear recordings of incredibly hip music show that it should be for all music lovers, especially world music and African music fans; In fact for anyone looking for inspiration and beauty. This album with grooves by Cewa, Mang'anja, Tumbuka and Tonga musicians represents only some of Malawi's many rich musical cultures. 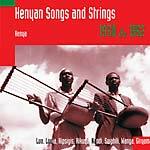 Eight of the fifteen tracks on this album feature the bangwe board zither, an amazing seven-stringed instrument that is sometimes strummed and sometimes plucked. Also features pure wizardry by a tuned drum ensemble, a magical xylophone duet, an extraordinary big band of kazoos and exquisite acapella singing by both men and women. Recordings by Hugh Tracey. Features: Beti Kamanga, Limited Mfundo Phiri, Women At Visanaza, Elefala Jeremiah Mbewe, Bifi Phiri & Friend, Dedza Secondary School Boys, Benson Phiri & Band, Lonesi Chewane & Joni Hetera, Afredi Phiri and Tankadi Mbuluwundi & Friends. 1998 release. Mbuti pygmies came out of the forest to barter with their Bantu neighbors -- Nande, Bira, Mangbele & Budu -- but it was also the scene of a unique musical interaction! Exquisite music from another world. 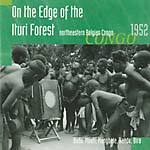 One helluva party going on at Chief Baonoko's village -- tipoyi carrier songs, message drums, pygmies playing Bantu instruments, and their own forest songs. Historical recordings by Hugh Tracey. Includes a 20-page booklet. 1998 release. In 1966 the palaces of the Ganda, Nyoro and Ankole peoples were seized and burned, the musicians dispersed or killed and the royal instruments destroyed! Historical recordings by Hugh Tracey. Featuring the last Ganda royal harpist -- the great Temusewo Mukasa -- as well as the royal flute ensemble, drum ensemble and xylophone ensemble. From the Nyoro court the swinging royal horn ensemble, and unique royal drums. Songs from the Ankole court. Includes a 20-page booklet. 1998 release. The "thumb-piano" and "musical bow" are now as rare in Zambia as they were once common! A selection from Hugh Tracey's historical recordings of these wonderful "little" musics -- sometimes extroverted, sometimes meditative. Whether it be the mysterious tinkling of the various kalimbas, or the deep buzz of the kalumbu bow, you can't help but be charmed. Includes a 20-page booklet. 2000 release. 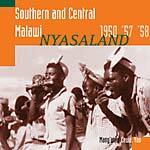 Twinned with SWP Records' other Malawi album, SWP 013, but now with music from the northern half of Malawi. 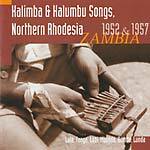 More wonderful bangwe zither songs, and malipenga kazoos, but also featuring the karigo lute, the kubu bow, the kalimba -- and exceptional a cappella singing. An album of musical jewels. Tonga, Tumbuka and Cewa peoples recorded by Hugh Tracey. Includes a 20-page booklet. 2001 release. Zulu singing may be well-known nowadays, but the voices of two neighboring peoples -- the culturally and linguistically connected Sotho and Tswana -- have until now remained out of the spotlight. Their singing of songs of great beauty is both powerful and moving, often of ancient origins and containing much wisdom. 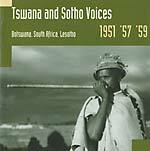 And their voices are also very present in the festive ditlhaka reedpipe ensembles and eerie lesiba mouthbow songs, included in this unique collection of historical recordings by Hugh Tracey. Twinned with SWP Records' other South African album The Nguni Sound, SWP 020 -- this is South African roots music! Includes a 20-page booklet. 2001 release. This album mainly features two Mangbetu groups -- the Mayogo and the Meje -- with drum ensembles, mass singing, exquisite likembe playing, and the Azande people to the west with xylophone and the intimate kundi harp. More harp by the Balendu and a unique recording explaining the language of sending messages by talking drums by the Lokele near Stanleyville (Kisangani). As The New York Times wrote: "Music from another world!" Historical recordings by Hugh Tracey. Includes a 20-page booklet. 2001 release. In the new urban culture that invented itself during the '50s in the copper mining towns of Katanga Province in southern Congo and on the Copperbelt in northern Zambia, the guitar became an important status symbol and local styles quickly developed. This also happened in the big southern African railway connection of Bulawayo in Zimbabwe. 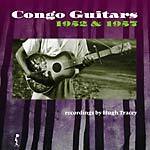 This collection of recordings by Hugh Tracey is an exciting document, the emergence of a new sound -- a must for all fans of African guitar. Includes a 24-page booklet. 2000 release. The well-known mbira dza vadzimu is not the only instrument of Zimbabwe. On this album: the versatile mbira dza vandau, the almost-extinct chipendani and chizambi mouth bows, the njari mbira, the mulanji flute, the thunderous matepe mbiras and wonderful drumming and panpipes. A collection of gems, recorded by Hugh Tracey. Includes a 24-page booklet. 2000 release. A variety of musics by the Mang'anja, Yao and Cewa peoples, found in the 1950s in the southern half of Malawi -- the beautiful bangwe zither, the magnificent tuned drum likhuba ensembles, brilliant xylophone playing, a small big band of kazoos. Such a richness of good music, creativity and identity -- and so well-recorded. Historical recordings by Hugh Tracey. 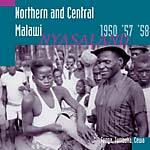 Twinned with SWP's other Malawi album, SWP 014. Includes a 20-page booklet. 2003 release. 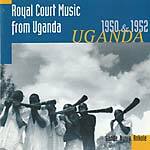 Twinned with SWP Records' album of Ugandan court music SWP 008, this CD features music by the people for the people, for their own enjoyment -- secular, worldly music free of any court constraints. Likembes, harps, horn ensembles, flutes, etc. Become a convert to the lyrics of the opening track: "All things in nature love each other, the lips love the teeth, the beard loves the chin, and all the little ants go br-r-r-r together!" Historical recordings by Hugh Tracey. Includes a 16-page booklet. 2003 release. Mozambique is the longest country in Africa, and has a correspondingly wide range of cultures and music. The area below the Zambezi River is generally referred to as "Southern Mozambique." Sit back and be amazed by this musical richness represented here by seven peoples: with xylophones, drums, mbiras, singing horns, reedpipes, vocals -- and young girls playing ocarinas as if in a dream. Historical recordings by Hugh Tracey. Includes a 20-page booklet. 2003 release. Features master-musicians playing some of the many instruments that were to be found in this large country, in both instrumental tunes and in accompaniment of songs. The dark rumblings of the nanga trough zither, sparkling likembe notes, deep drumming, flute laments, panpipes -- from the northwestern corner near Lake Victoria to the musical melting pot of Zanzibar. A journey of highlights only. Historical recordings by Hugh Tracey. Includes a 20-page booklet. 2003 release. This CD is a selection of largely a cappella performances, sometimes with clapping, stamping and small percussion, recorded by Hugh Tracey. Listen to more than 600 Chagga men and women chant on the southern slopes of Mt. Meru, hear timeless praise songs by the Gogo, humorous songs by the Nyamwezi, lyrical wigasha dance songs by the Sukuma, and the unmistakable Maasai chanting. Vocals straight from the heart by peoples without any kind of identity crisis. Includes a 20-page booklet. 2003 release. 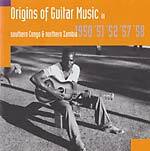 Aside from Katanga in the Congo and the Zambian Copperbelt, southern Mozambique also developed its own distinctive guitar sound in the '50s -- the roots of marrabenta. Listen to the enigmatic Feliciano Gomes sing about the problems of getting children, the promiscuity of women, snobbism, jealousy, the supernatural, enjoy Aurelio Kowano's virtuoso rhythm guitar playing, and others -- now no longer forgotten. Historical recordings by Hugh Tracey. Includes a 20-page booklet. 2003 release. By "the Nguni" is meant the peoples along the SE coast of Africa, who are known as Xhosa, Zulu, Swati. On this album we hear traditional unaccompanied groups singing with great vocal power, strength of melody, richness of harmony, and intimate songs with music bows -- this is roots music, and these are the most authentic recordings of it. There are also some examples of Western instruments readily adopted, creatively, but still with a definite Nguni sound, and the seemingly natural step to their own jazz style. Historical recordings by Hugh Tracey. Includes a 24-page booklet. 2006 release. The selection of music here is comprised of a cappella choirs and songs accompanied by string instruments. Except for two guitar tracks and one oud track, the string instruments are all lyres -- chepkongo, kipukandet, thum, litungu. The strummed lyres sound very guitar-like, at times positively post-punk, and then the wonderful buzzing bass sound of the plucked thum, with strings made of cow tendons, and an array of beautiful traditional vocal styles. Includes the famous song "Chemirocha." Historical recordings by Hugh Tracey. Includes a 24-page booklet. 2006 release. 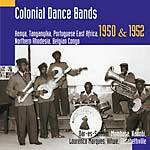 This album presents a variety of African bands playing dance music during the colonial period. 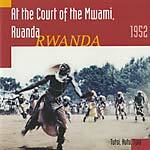 Recorded in the British colonies of Kenya, Tanganyika and Northern Rhodesia, Portuguese East Africa, and Belgian Congo. Some bands were professional outfits playing to Europeans, mostly in hotels, others were enthusiastic amateurs. Each and every one was a pioneer in their way, and deserves tremendous respect for that alone. Number 20 in the series "Historical recordings by Hugh Tracey." Includes a 20-page booklet. 2006 release. In no book of the history of jazz will you find any mention, let alone a chapter, about Africa's very own style of jazz developed in the early 1950s -- in Bulawayo, to be precise, economic heart of then-Southern Rhodesia, now Zimbabwe, and gateway to and from South Africa. This is a grand omission. Here, finally, is the evidence. After all, the only other jazz style born outside of the USA before the 1960s was the gypsy swing of the Hot Club de France. 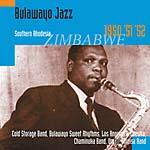 The dominant figure in the Bulawayo scene was saxophonist and bandleader August Musarurwa -- also composer of the world hit "Skokiaan." Includes a 20-page booklet. 2008 release. 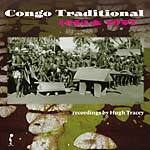 Englishman Hugh Tracey (1903-1977) dedicated his life to recording African music. During an era that no one else took African music seriously at all, HT crisscrossed central, eastern and southern Africa, recording what he found. He foresaw that much of the music would disappear through urbanization and outside influences. In so many cases, we are lucky to have his recordings of so much amazing music -- no one else recorded it. His archive constitutes the musical memory of half a continent. This final album features one star track from each of the 21 CDs in the series, plus as a bonus, there are six tracks from the original session by guitarist Jean Bosco Mwenda. Housed in a 6-page digipak. New lower pricing. This is the famous Katanga guitar sound, as recorded by Hugh Tracey, based on the traditional likembe lamellaphone music of the various Luba peoples and their neighbors, who went to work in the mines and, as a result of this urbanization, embraced "modernism" by buying guitars. Plus three rumba tracks from Stanleyville (Kisangani), where there was a laid-back atmosphere with white and black people dancing together in a flourishing nightlife, exceptional for the Belgian Congo. A compilation of tracks from the CDs SWP 015: Origins of Guitar Music, SWP 011: Kanyok and Luba, SWP 034: The Very Best of Hugh Tracey, except two tracks not previously released by SWP. This LP is a 140 gram pressing by Pallas. New lower pricing. Music from another world! 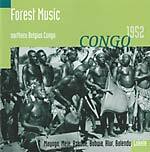 This collection of magnificent recordings merely touches on the richness and diversity of the traditional musics of the Congo, as found by Hugh Tracey in the 1950s. In the ensemble tracks we can hear his hand-held microphone technique, as he moves around with his one mike to highlight one instrument after the other -- a kind of instant mixing. But how many of these musical traditions have been lost since they were captured on tape -- urbanization and satellite TV have taken their toll. We are lucky to have these recordings, but they especially are a gift to the peoples involved, for the legacy as played by their forebears belongs to them. A compilation of tracks from the CDs SWP 009: On the Edge of the Ituri Forest, SWP 011: Kanyok and Luba, SWP 016: Forest Music. This LP is a 140 gram pressing by Pallas.